Karate Do significa "The way of empty hands" . The martial arts today have their roots in the most remote fifth and sixth centuries BC, with the first signs of struggle in India. This fight was called "Vajramushti”, whose approximate translation would be "the one whose clenched fist is adamant". Bodhidharma traveled from India to China to teach Dhyana Buddhism to the monks in the temple of Chinese Shao-Lin Tsu-. The repeated practice of meditation revealed the weakness of the physical and spiritual monks. Bodhidharma taught them a series of 18 movements that would allow them to strengthen their bodies and their strength of will. These movements are derived from the fighting arts of India and other countries and had its origin (among other things) in the study of animal movements. Thus arose what is called "boxing the monks'. After the death of Bodhidharma, His disciples dispersed throughout China. Over time, these series of movements were studied, complemented and tested by several Chinese masters to convert the so-called Kempo Shaolin (also called "Quanfa”,&nbsp;“Chuan fa"Or"Kung-fu”) and be spread across China, from the thirteenth century. The Karate was born on a small island between Japan and China called Okinawa. In 1477 King of Okinawa banned the use of weapons in an attempt to end the civil war. In this situation, the inhabitants of Okinawa fighting technique adopted some of their Chinese neighbors and combined them with the local martial art techniques. 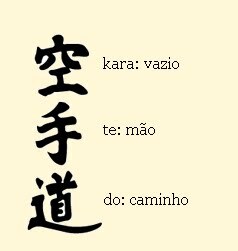 "Shur-TO" and "Take-TE", currently designated for “SHORIN-RYU”. Kanryo Higahonna nasceu em Naha, Okinawa, a 10 March 1851. In 1866, he traveled to the city of Fuchi, na Fujian Province, not be on China, to study the Chinese martial arts. About a year later, met the Master Ryu Ryu Ko, Shaolin Kempo de de. Following the tradition, put to the service of the master to be accepted as a disciple, training with him for thirteen years, until you return to Naha, em Okinawa. Em Okinawa , Kankyu ensinou a husband arte Marcial, which became known as Naha-Te. He died in December 1915, with 63 years old. It is said that the name Goju-Ryu, more than planned, was an accident. 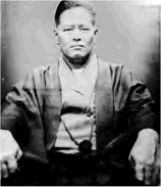 While in Tokyo, in 1930, the main student of Chojun Miyagi was questioned by various martial arts masters about what the school or style. How Nha-Te had no formal name, he was not able to respond. On his return to Naha, reportou element or incident to Chojun Miyagi. After reflecting, decided on the name "Goju-Ryu" (School of Hardness and Softness). "Go" means hard and "Ju" means soft. O combines style hard techniques, Okinawa with rigid fomas soft Shaolin Kung Fu. Chojun Miyagi faleceu a 8 October 1953 with 65 years old.